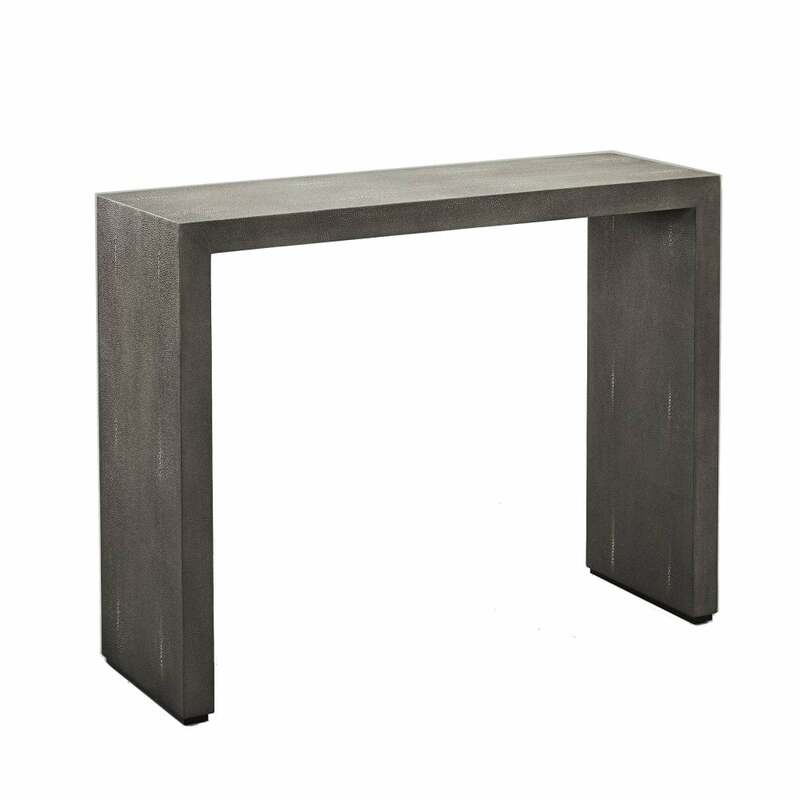 The Aspen Console Table by Robert Langford presents a strong and elegant shape in an on-trend, faux Shagreen finish. The brands signature understated style and modern features will add class to any interior scheme. Introduce texture into a hallway or landing with this timeless console table. Style with textured vases, sleek photo frames and metallic accessories for a luxe look. For ultimate impact place large floor vases under the console to make use of the space. Alternatively, use sumptous silk footstools for a contrasting finish. Available in a moody dove grey or a neutral chalk shade.